We hope you got everything you wanted for Christmas. A gift card, Gucci flip-flops, the approval of your father -- we hope all of it was everything you hoped it would be. But it's unlikely that it was better than free food from places that normally make you pay for food. Because not even Christmas is better than that. 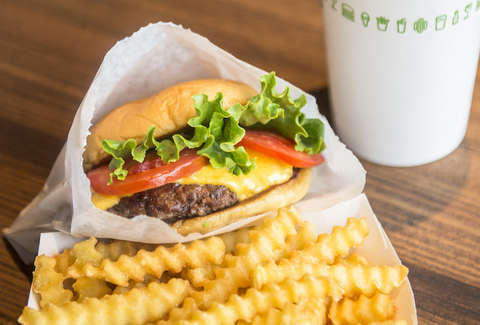 So while Christmas may be over, take cheer knowing that from December 26 through January 2, you'll be able to get a free burger from Shake Shack. To get the deal, all you have to do is place an order and use the code THANKYOU18 at check out. Unfortunately, you need a minimum of a $10 order for the deal to apply. But that means you can offer to treat a friend or a family member to Shake Shack, at no cost to you. Which is not very in the holiday spirit, but it's not the holidays anymore, so whatever. Also, note that these orders have to be placed on the Shake Shack app or order.shakeshack.com, and you can only use the promotion once. The deal also excludes Shake Shack locations in ballparks, stadiums, and airports. Even with those restrictions, though, the extra cheeseburger still might be better than Christmas.